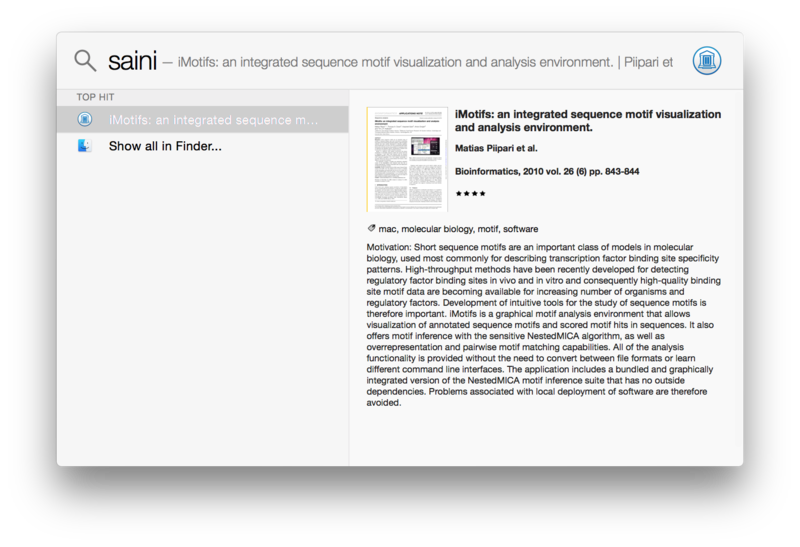 You can now search the contents of your Papers 3 library in Finder using Spotlight. 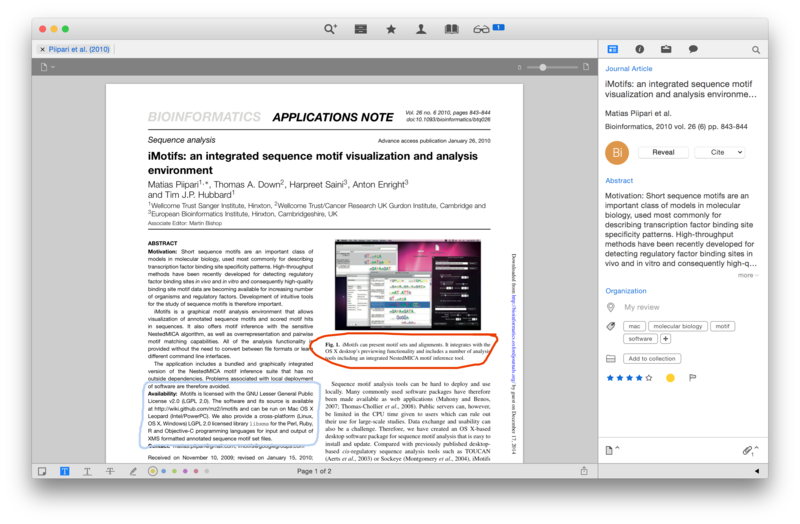 You can now create and edit freehand annotations in Papers 3 for Mac. You can now Quick Look and search inside of the Microsoft Office Documents in your Papers library. Matching: Addresses the cause of a crash that could occur when using the “Suggested Matches” feature. Library management: Improvements to the default names provided for user libraries. Library Preferences no longer displays Library Name. Author merging: The warning that appears before merging authors now makes clearer which author will be removed by the merge. It is no longer possible to drag annotations into the invisible area around a PDF. Notes can now be moved between pages of a PDF again. Download the latest Papers update.